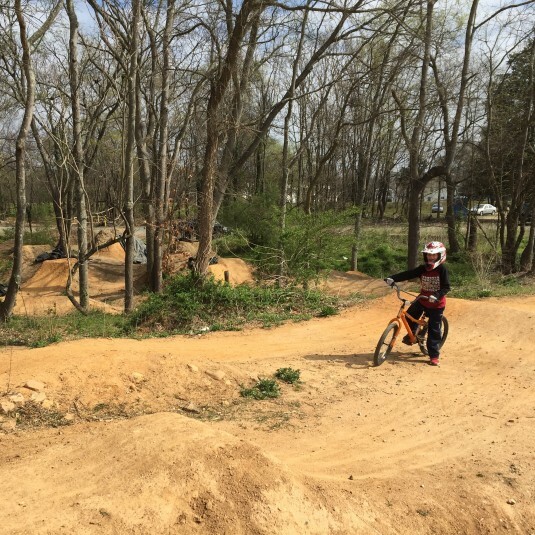 Earlier this year an agreement was signed between RVA MORE and the City of Richmond making the Gillies Creek Dirt Jumps (located behind the BMX track at Gillies Creek Park) a legitimate park facility. This is one of those weird, beautiful success stories that I don’t know could have happened in Richmond before. Community enthusiasts built an amazing but illegal set of bike jumps on public park property. Instead of razing the structures, the Richmond Parks Department approaches a working non-profit advocacy group and the come up with a solution to keep that area open. Kudos to everyone involved for making this happen and making it work. There will be a Community Cleanup Day Work Day hosted on site on April 30 from 9:00 AM to 1:00 PM to remove trash, debris, safety hazards, etc.